The Purchasing Management Association of Canada decided to undergo a designation name change. The new title of SCMP better reflects the profession and the qualifications of a designation holder. We developed the logo to support and further illustrate the SCMP title. The three links represents the three major components of the supply chain; logistics, procurement and purchasing. These three links need to be connected and work as one to ensure a successful chain. The embedded infinity symbol represents the “never-ending” nature of the profession and the infinite number of job opportunities available to SCMP holders. 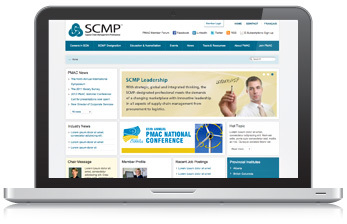 A new website was developed to better reflect the new designation name and corporate brand identity. The website is modular to keep it clean and organized. Through simple navigation a user can find what they are looking for quickly and efficiently. If the user is new to the page and not sure what they are looking for, the modules offer suggestions of interesting content and up-to-date information. 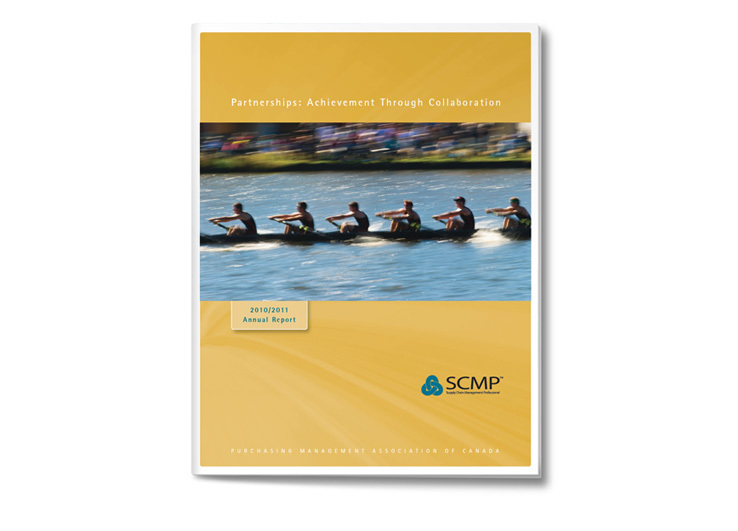 The 2010/2011 Annual Report was designed around the theme of partnership and collaboration. The theme reflected the Association’s pledge to work closely with the PMAC Institutes to help support and build the designation as a team. 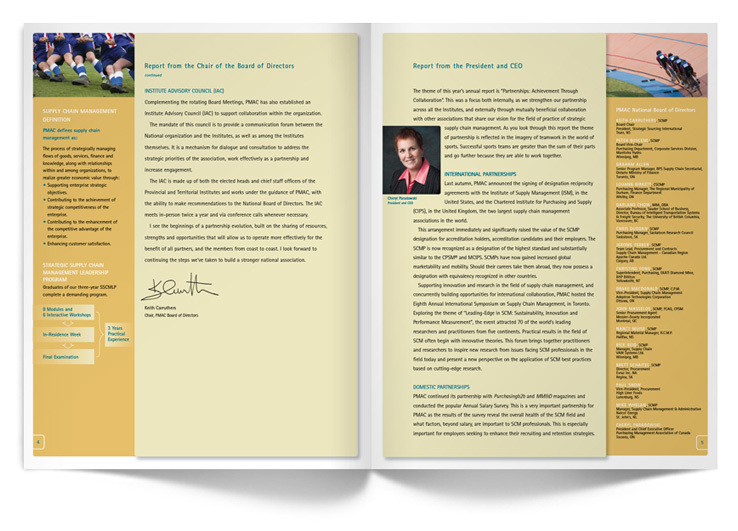 The Annual Report gives the President, CEO and the Chair of the Board of Directors an opportunity to address readers and also outlines important information for the year along with this year’s goals and strategic plan. 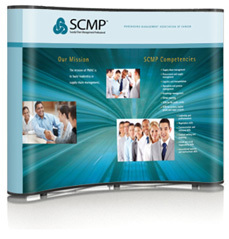 The tradeshow display was designed to reflect the advertising being done for the SCMP designation name change. It outlined the mission for the SCMP and the competencies of a designation holder. 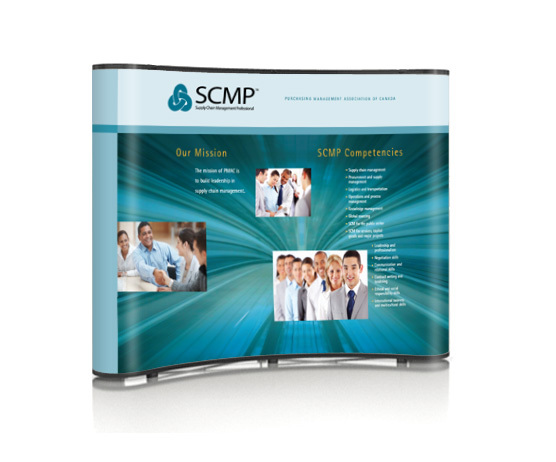 This booth was designed to inform tradeshow attendees about the designation and why they should either hire one or entice potential candidates to take the program themselves.